Integrate to DNA Fusion with our flexible application programming interface. Tools and resources for our partners. Flex API is an application programming interface that provides a robust mechanism for external parties to develop an interface into DNA Fusion to accomplish a myriad of tasks or receive information. Below is a list of possible tasks that can be performed externally, through Fusion Flex API. The following partners have developed interfaces using the Open Options Flex API. Select links below for more information and to download API keys. 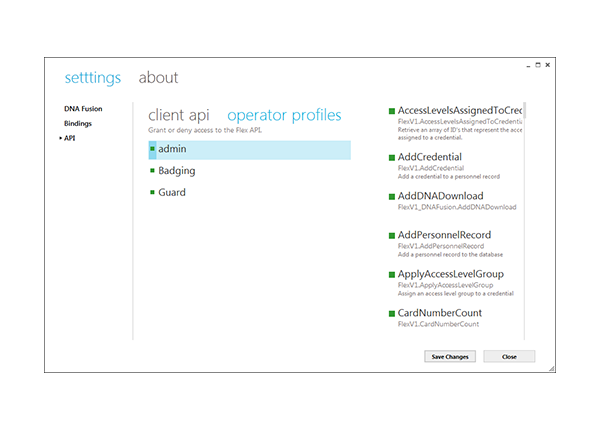 The Milestone ACM plugin uses Flex API to deliver access control events into the XProtect Smart Client. BioConnect uses Flex API to integrate biometric templates into the system through their BioConnect software platform. Information is passed directly from DNA fusion personnel record to simplify the biometric enrolment process and management. *Once on the page, select BioConnect Identity Platform. 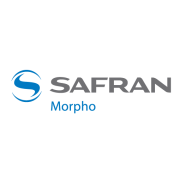 Morpho uses Flex API to integrate biometric enrollment through their software. Enroll, pre-register, and manage visitor with the Easy Lobby Visitor Management interface. Video Insight has used Flex API to complete a video integration with DNA Fusion. Visitor Management integration with DNA Fusion and PassagePoint. HID pivCLASS enables FIPS-201 compliance and employee verification through pivCLASS Authentication Module (PAM).